If you want to meet a German person while traveling– go hiking. Be it volcanoes in New Zealand or the Chilean Andes, there is an equally high probability that the first person you are going to bump into on your trail will be from Germany. Always being perfectly equipped and fit, Germans truly deserve a first prize for being the most hiking nation (if there was one). After meeting dozens of Germans in some of the most unexpected places in the world, I decided to try to understand the origins of this “hiking phenomena” and to explore trails in Germany myself. Berlin is not really blessed with majestic summits and my first hike was rather a pleasant walk in a forest in Brandenburg, which was very similar to my everyday walks with my Granny in the park close to our house in Moscow. When I already lost hope to find something I came across information about Bastei in Sächsische Schweiz, which is considered to be one of the best hikes in Germany. 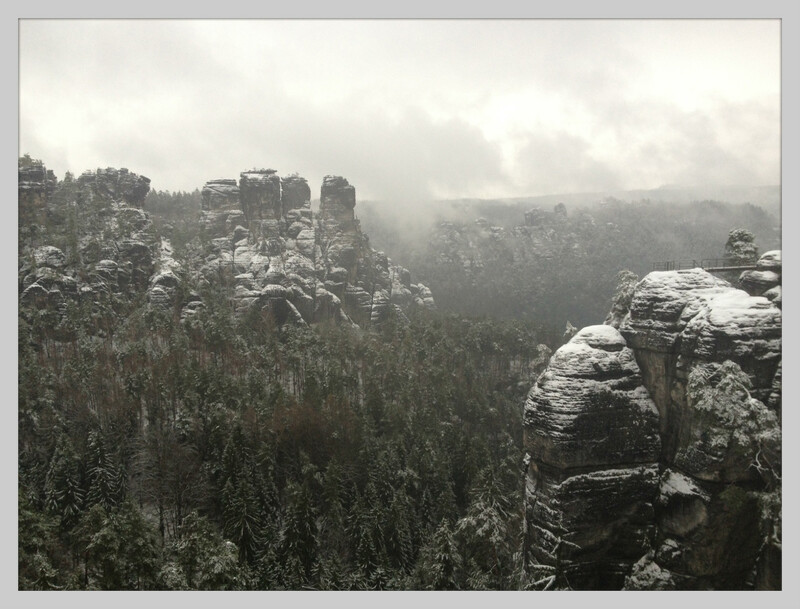 Being just 3,5 hours away from Berlin and promising breathtaking views, it looked like the best pick for a snowy weekend. What we saw was far beyond any of our expectations. 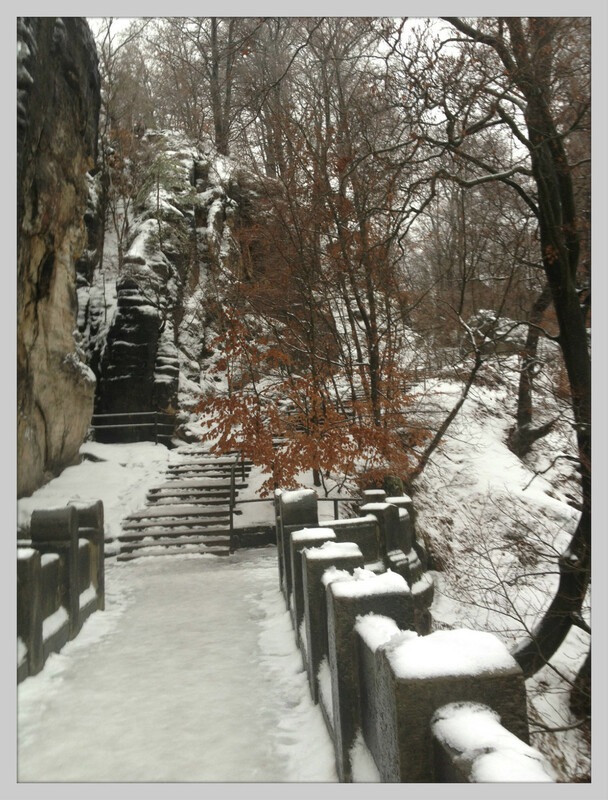 Who would think that something like this exists just a 30 min away from famous Dresden galleries? 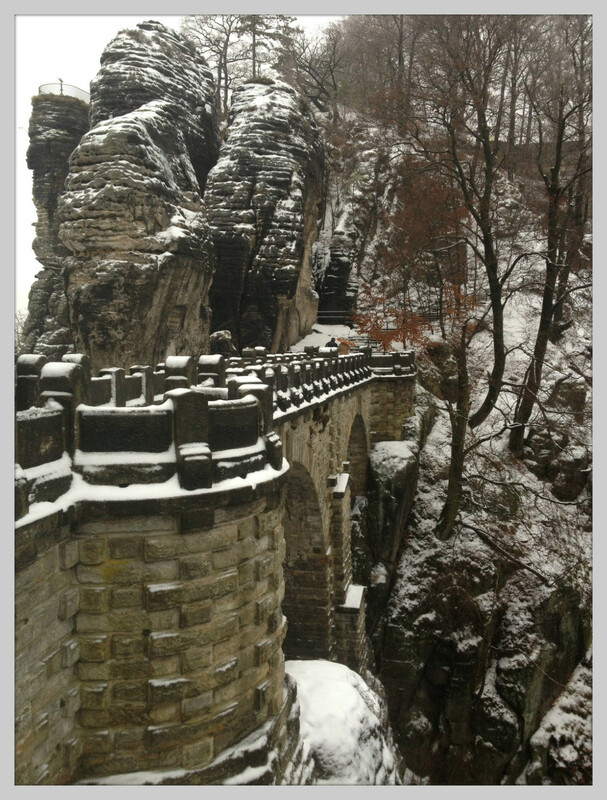 One million year old stone formations, covered with snow and hiding in mist, icy river Elba, fairytale stairs and the magnificent Bastei Bridge looked like a picture from a fantasy 3D. 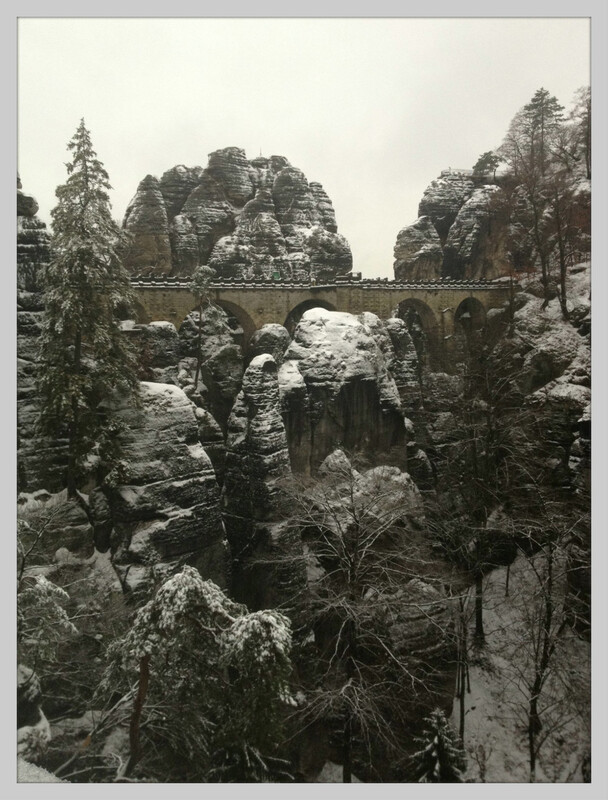 To my disappointment, the Bastei Bridge, which looked like a part of a mid-evil castle, appeared to have quite an unromantic history: it was built for needs of tourists in the 19th century, who were staying in the Hotel nearby. But who reads signs on the monuments anyway? If you are looking for an easy hike, just catch a train from Berlin and let your imagination go wild in the kingdom of stones.